Clownfish (Amphiprioninae) suffering Brooklynella hostilis disease. Brooklynella hostilis is a parasite found in marine fish. It can be present in wild fish, farmed fish, and aquariums. The parasite attacks the lungs, making it impossible to breathe. It is deadly to fish and can kill them in a matter of hours to days. Brooklynella is an infestation of the ciliated protozoan Brooklynella hostilis. It is most closely and commonly associated with subfamily clownfish members of the Damselfish family, and therefore is typically referred to as clownfish disease. Although this parasitic scourge is similar to others, it requires a fish host to survive. It is not particular in its quest to find a proper host. Angelfishes, tangs or surgeonfishes, wrasses, jawfishes, and seahorses among others will host Brooklynella, which are kidney-bean shaped microscopic parasites covered in cilia. These protozoa reproduce asexually using simple binary fission through conjugation, which is why they can multiply so much more rapidly than Cryptocaryon (Marine Ich/White Spot Disease) and Oodinium (Velvet/Coral Fish Disease). This rapid reproduction explains why it can kill fish within a few days. Sometimes, it can kill mere hours after you notice it. For this reason, accurate diagnosis and immediate treatment of all fish exposed to these life-threatening organisms are critical. There are varying suggestions on how to treat a tank that has been infested with Brooklynella. They range from adding copper, malachite green, and other remedies, with some of those recommended being used in conjunction with formaldehyde. The consensus is these types of medications are either largely ineffective or do not work at all, and that the best and most effective treatment for Brooklynella is formaldehyde alone. Typically a standard 37% formalin solution (shop & compare prices) is mixed with either fresh or saltwater in a separate treatment container. Initially, all fish are given a quick dip or a prolonged bath, followed by continued treatment and care in a QT. Of course, the longer the fish are exposed to the formalin treatment, the more effective it will be at eliminating this disease. Formalin is a brand name of a form of Formaldehyde and has been found to be an effective treatment for Brooklynella as well as other parasitic diseases. However, formalin is a very powerful chemical and should be used very carefully. Make sure you fully know how to treat ich diseased fish with formalin so that you follow the proper instructions and take the correct safety measures. If a formalin solution is not available for immediate use, temporary relief may be provided by giving fish a freshwater dip or bath. Even though this treatment will not cure the disease, it can help to remove some of the parasites, as well as reduce the amount of mucus in the gills to assist with respiration problems. Once the initial dip or bath is done, place the fish into a QT under hyposalinity treatment to help keep any possible new free-swimming protists from infecting the fish again, and then obtain a formalin medication as soon as possible to begin treatment. While Brooklynella cannot be totally prevented, one way to avoid the parasite is to only buy well maintained captive-bred aquarium fish. 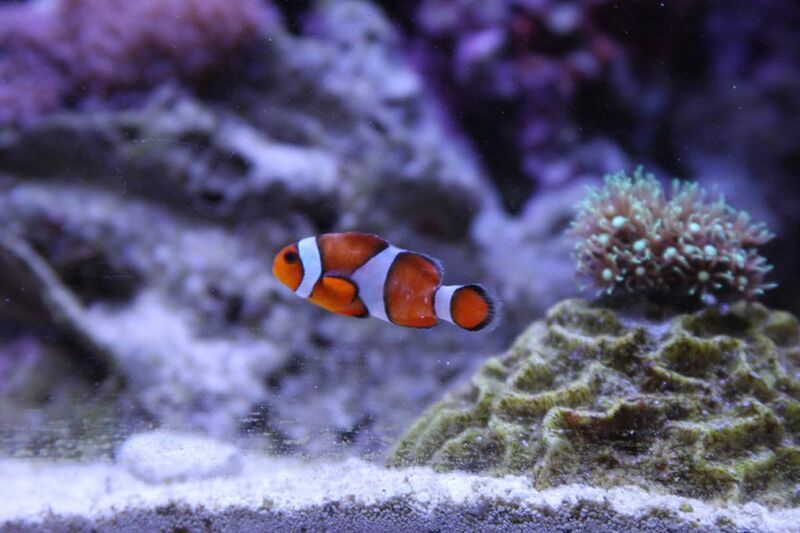 Brooklynella was originally known as clownfish disease because it was most common in that type of fish. Wild-caught clownfish most often suffer from the disease and it's rarely seen on captive-bred clownfish. Any new aquarium fish should be quarantined for 2 to 4 weeks prior to being placed in your aquarium. A freshwater dip is also beneficial. This will help ensure only healthy fish are introduced to an aquarium.